I always reckon that parsley is the most-used herb but then that’s because I always seem to forget about mint. Mint (mentha (hierba buena in spanish)) suffers from a bit of a bad reputation. We usually moan about plants being tricky to grow but most people treat mint with suspicion because it can spread at an alarming rate. So it is often confined to a pot where it is fine for a while but then deteriorates. It seems impossible to please; you let it free and it takes over the garden or you pot it and it just fades away. Is it worth all the effort? Well the answer is undoubtedly yes. You just need to understand the plant. 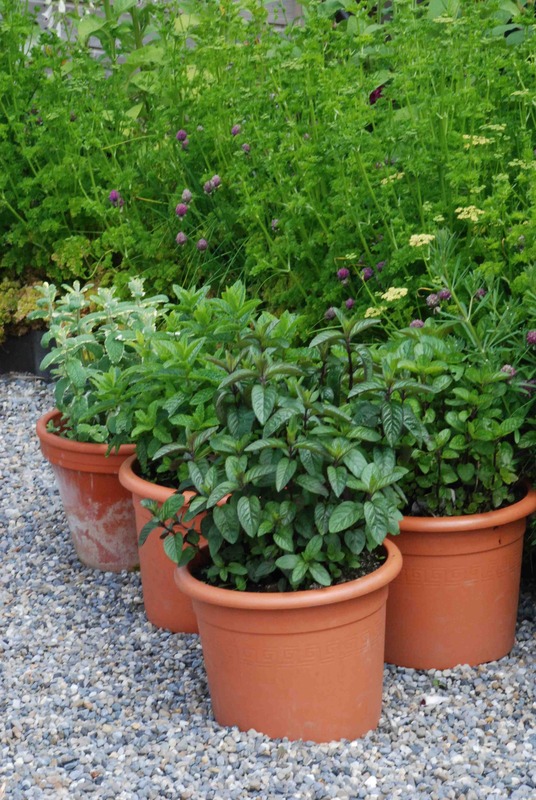 Most mints are herbaceous perennials that form upright stems but also long, creeping stems that root as they grow to increase the size of the plant or, more accurately, find new soil. Some plants are happy in one spot all their lives, spreading their roots down and out to find the nutrients they need. But mint is a hungry plant and has surface roots. There is no tap root. So it needs to keep on moving to find all it needs. That is why it wanders around in the garden and can’t stay in one place. If you put a few tiles or other barrier around it the creeping stems just hop over it and within a year the original plant looks awful but the escaped part will be growing strongly. It’s just what it does! So I grow my mint in pots. 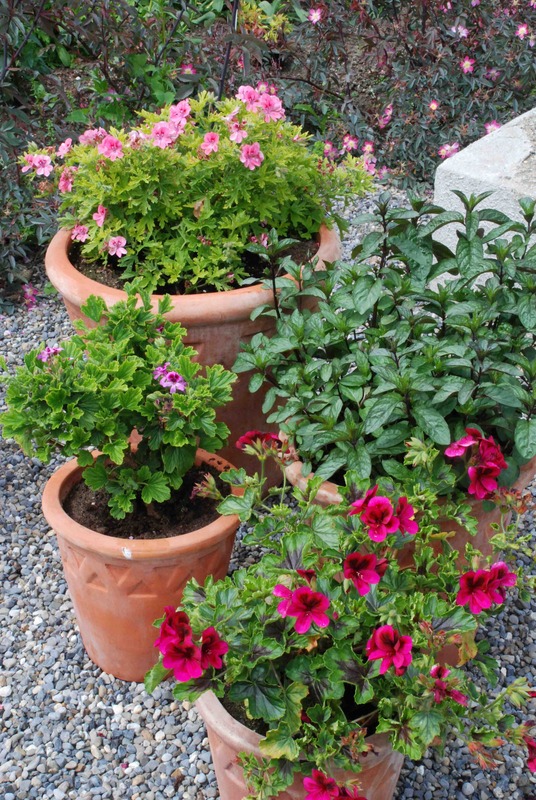 I repot it every spring when it starts to grow and I throw away 90%, keeping just a few fresh bits and I plant them in the pot in a mix of multipurpose and John Innes compost with some controlled-release fertiliser. That way I have strong plants that are less prone to pests and to rust. 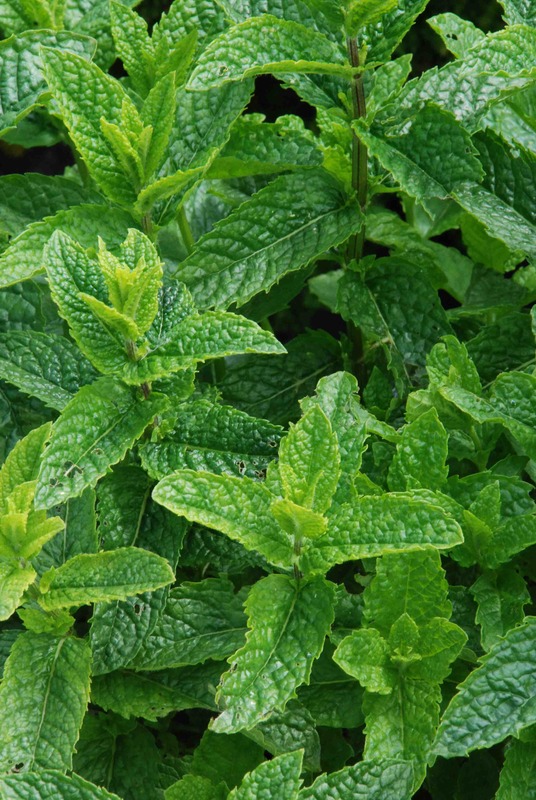 Mint is unlike most other common herbs because it likes moist, rich soil and even a little shade. Most, but not all, the wild mint species are plants of rich, moist soil and some even grow in water so do not let your mint dry out. There are dozens of different mints and I only have a few at the moment but the four I have are what I would consider a good, useful mix. But I will add more when I find them for sale. 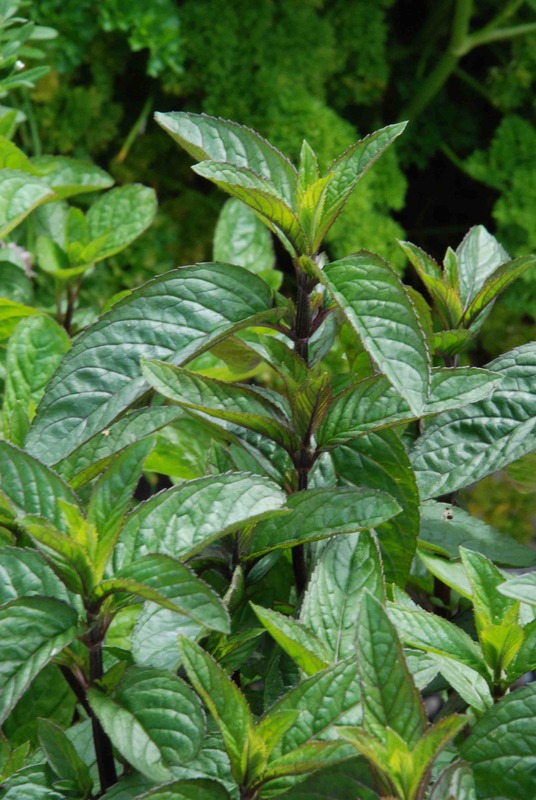 ‘Eau de Cologne’ mint (Memtha x piperata ‘Citrata’) is not the best culinary mint but it does have a delicious smell and is popularly planted to keep gnats and flies away if the foliage is bruised. It can be used in dishes and has a slight citrus taste. I grow it mainly for the smell of the foliage and the flowers, as with all mints, attract bees. 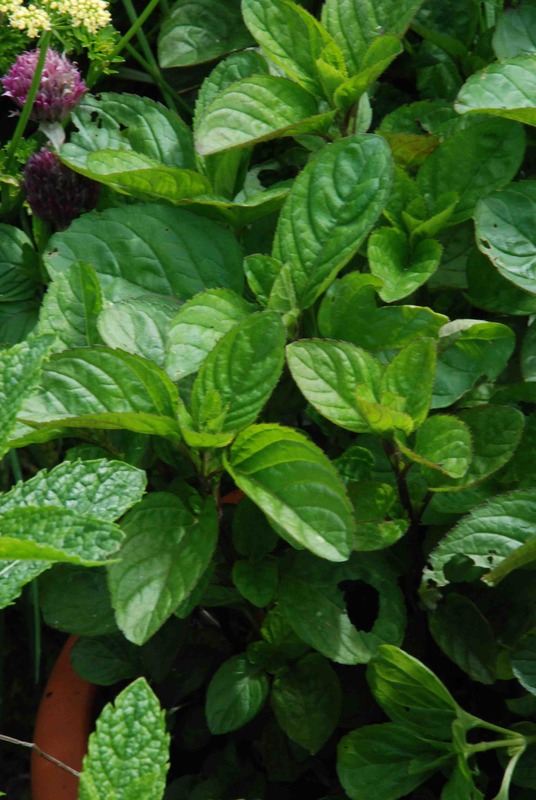 ‘Moroccan Mint’ (Mentha spicata ‘Crispa’) is my favourite culinary mint though some say that apple mint and ‘Brundall’s Mint’ * are better. This mint can be used for all purposes including mint sauce and to put in the water when boiling fresh peas or new potatoes but I like it for mint tea. Preparation of this varies and it is often made with some green tea and fresh mint leaves – I think this is the traditional way. But I just put a couple of sprigs in a pot (ideally my glass pot with the built-in strainer) and pour on the hot water. I add a drop of honey to the strained tea and drink it hot – it is bright green and delicious. If I get myself organised I make it and put it in the fridge for use later with ice – just what you need on a hot day like today. ‘Variegated Apple mint’ (Mentha suaveolens ‘Variegata’) is sometimes called pineapple mint but I don’t really understand this or condone the name – I don’t see why a variegated edge to the leaf changes it from an apple to a pineapple. The normal apple mint is a big plant with round leaves and a need to take over the world but this variegated form is much more modest in size but just as tasty. Some people think this is the most delicious mint and in this variegated form it is as attractive as it is tasty and could be permitted to wander around the flower bed. Of course mint has a multitude of uses, culinary, medicinal and culturally but even if you don’t eat it it is a pleasure to walk past and brush a clump to enjoy the aroma and I have a pot among some scented-leaf pelargoniums (an upcoming post). 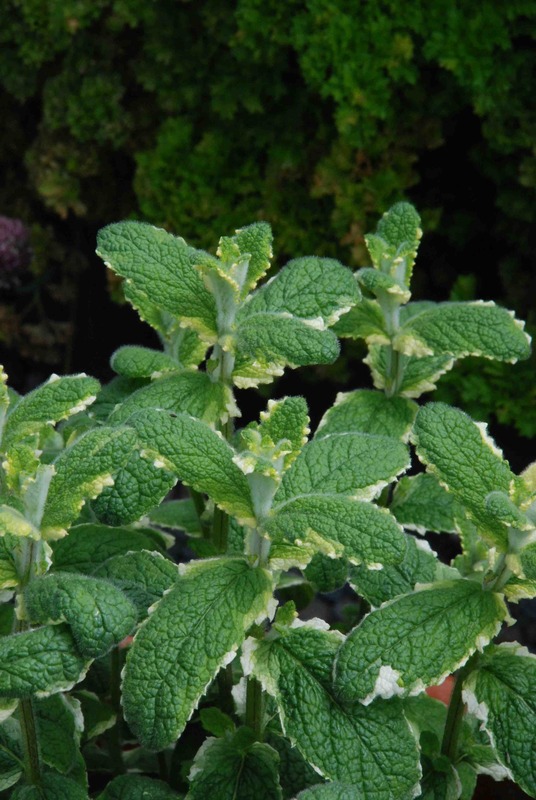 * Brundalls’ mint is widely grown in Norfolk, UK for Colman’s mint sauce. It is available from some UK suppliers including Marshalls seeds.